Color, color, everywhere! 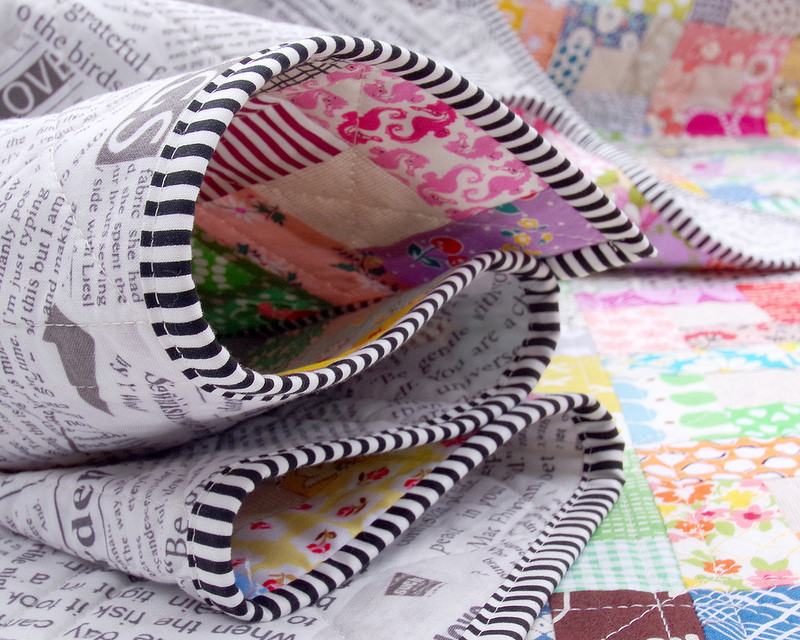 Fabric is my creative medium of choice and the more colorful my workspace the better. 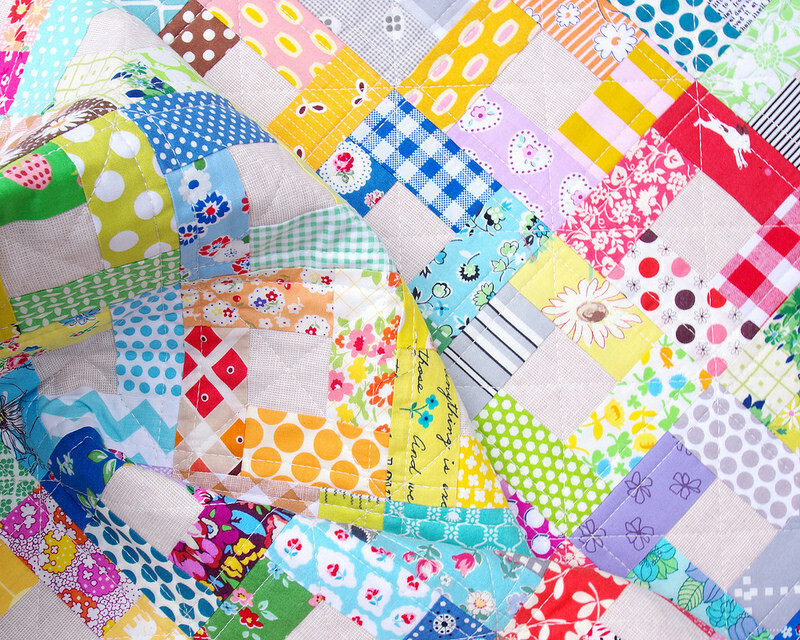 I find it hard to restrain myself and like to put every last fabric scrap to good use. 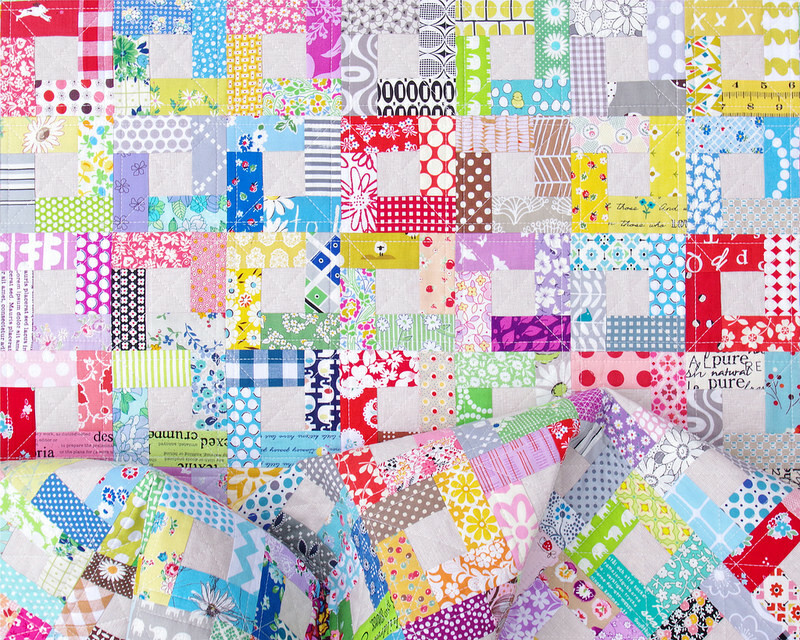 This Bright Hopes quilt was the perfect opportunity to work with both ~ color + fabric scraps. 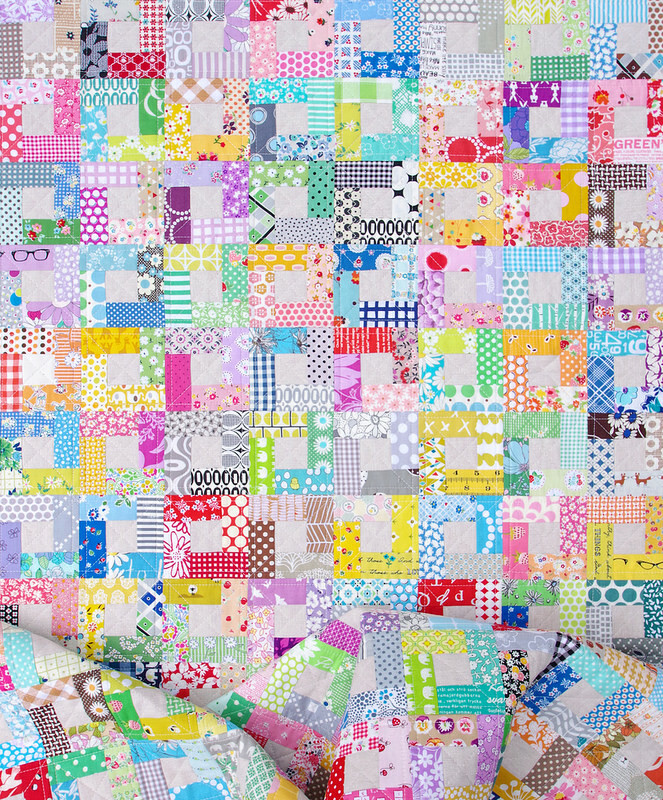 The fabrics used are many and varied and range from stash basics (dots, gingham, stripes, checks) to novelty fabrics that have been fussy cut to feature a print/design. 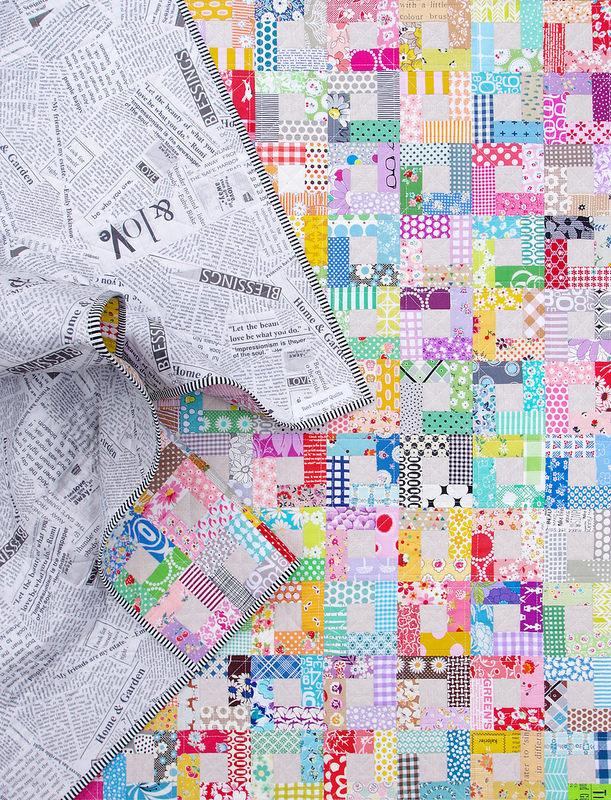 If you stop by here regularly you may have seen some of these fabrics before, or better still, you might spot fabrics that you too have in your stash. Some are older prints, some have only very recently arrived. All are much loved! 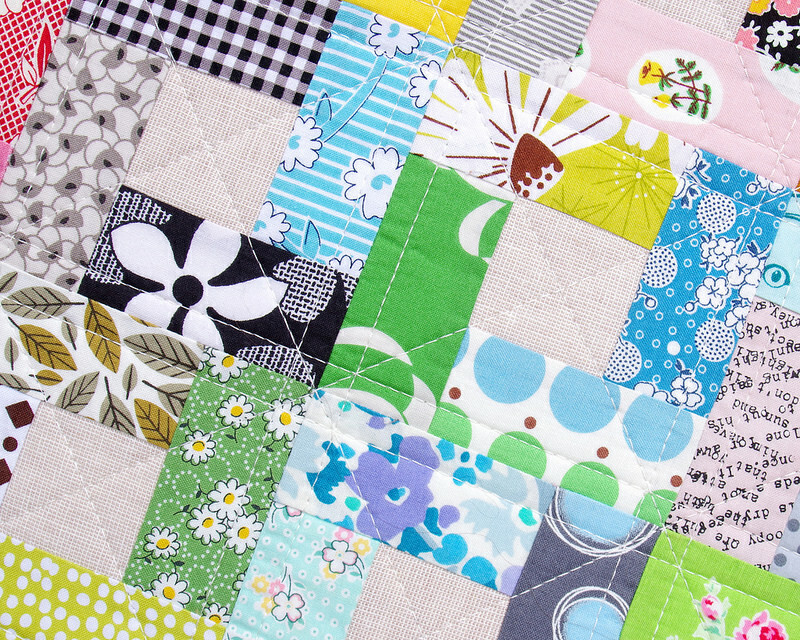 The quilt has been quilted with a combination of straight vertical, horizontal, and diagonal lines. 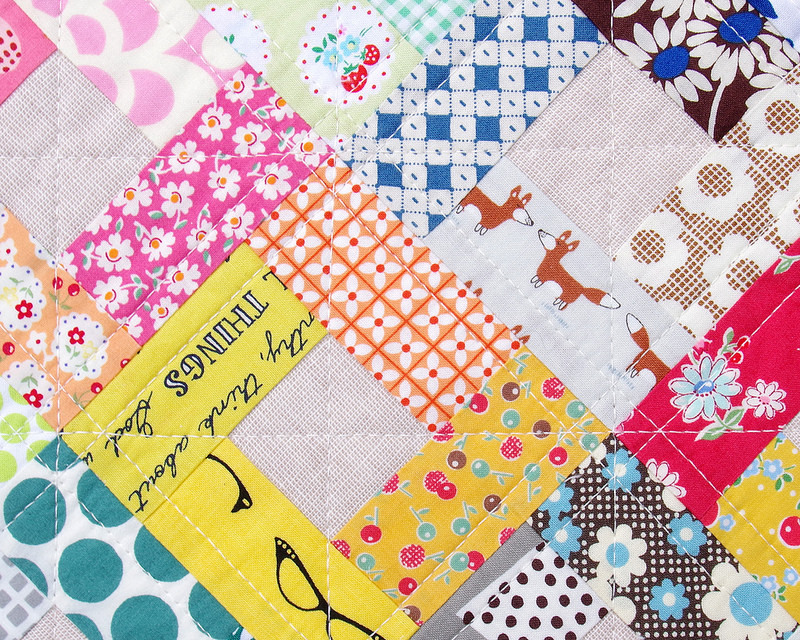 I use a quilting guide attached to the walking foot to assist with keeping the quilting lines nice and straight (by running the guide along the seam lines and previous quilting lines). No lines were marked! 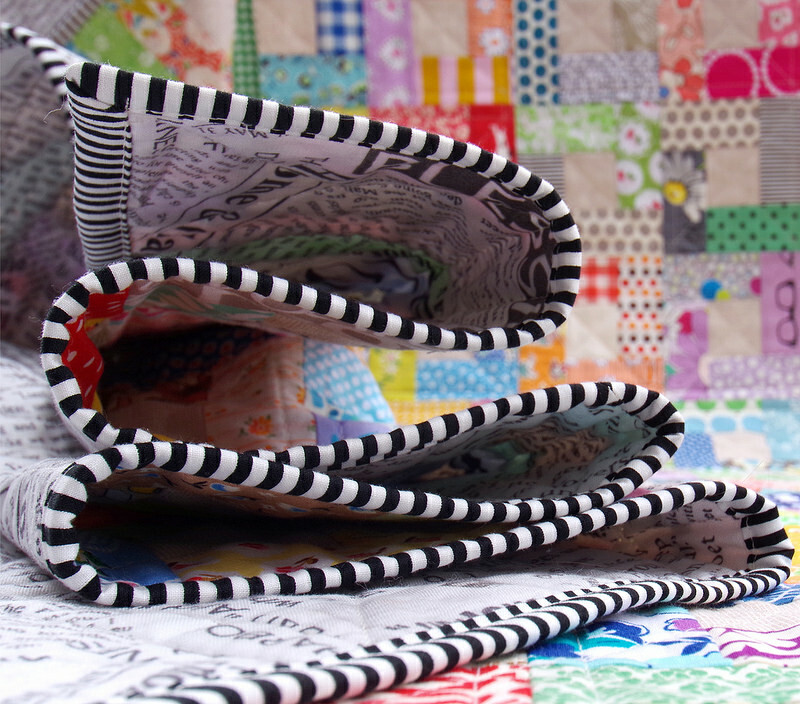 .... and I have matched it with my signature black/white stripe fabric for the quilt binding. 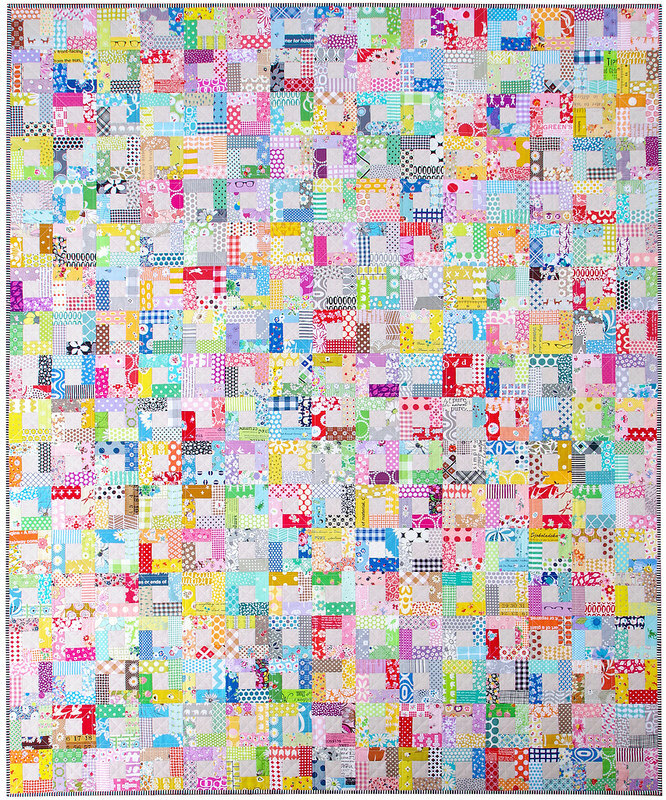 Finished quilt measures 60 inches x 72 inches. 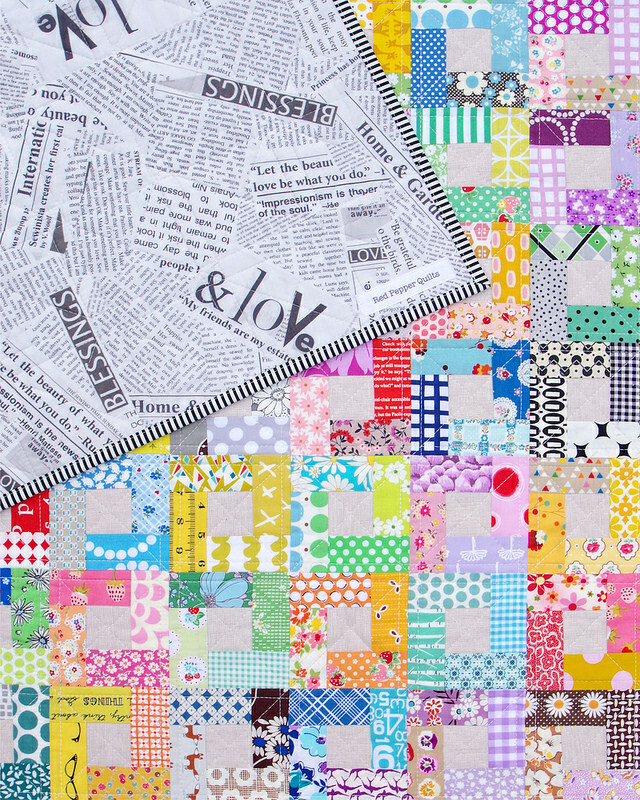 Absolutely stunning@ Love how bright and cheery it is! 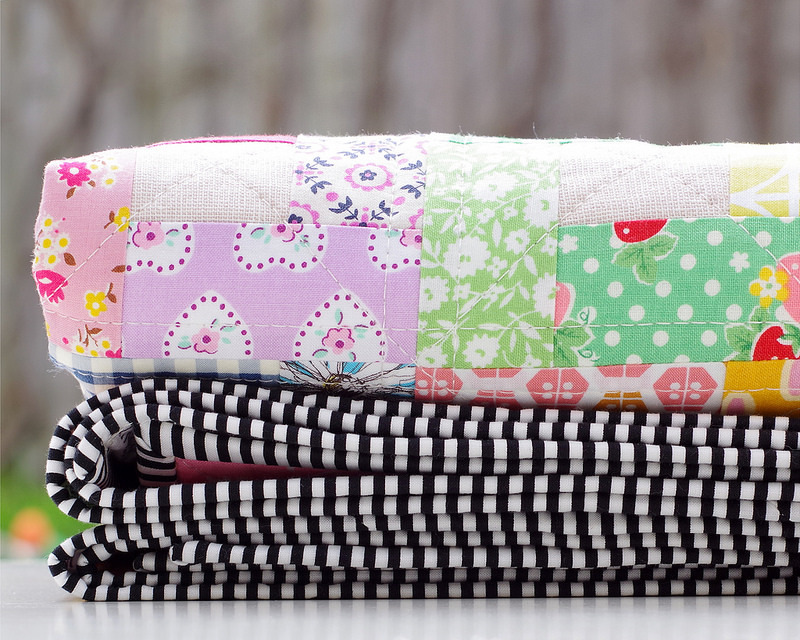 The diagonal lines are the perfect little extra bit that makes the quilt! 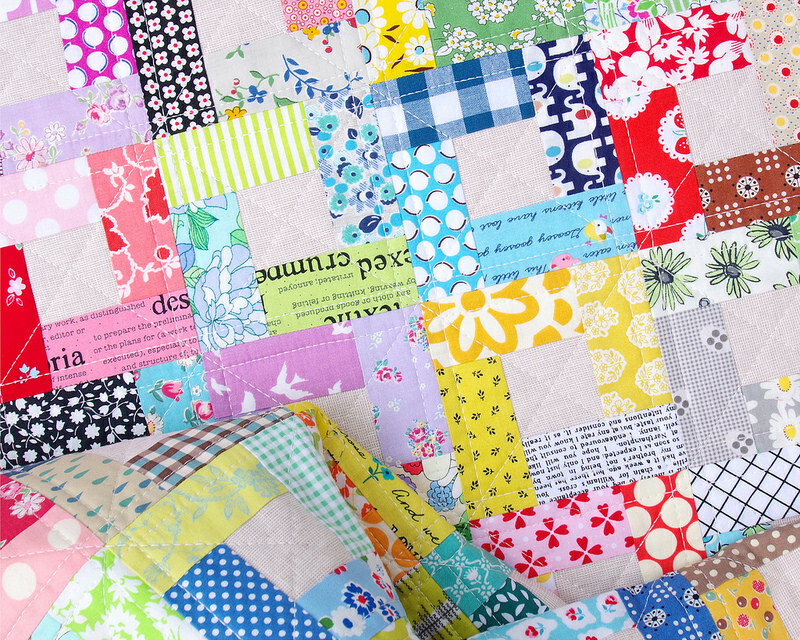 What a great way to put scraps to good use! Beautiful! 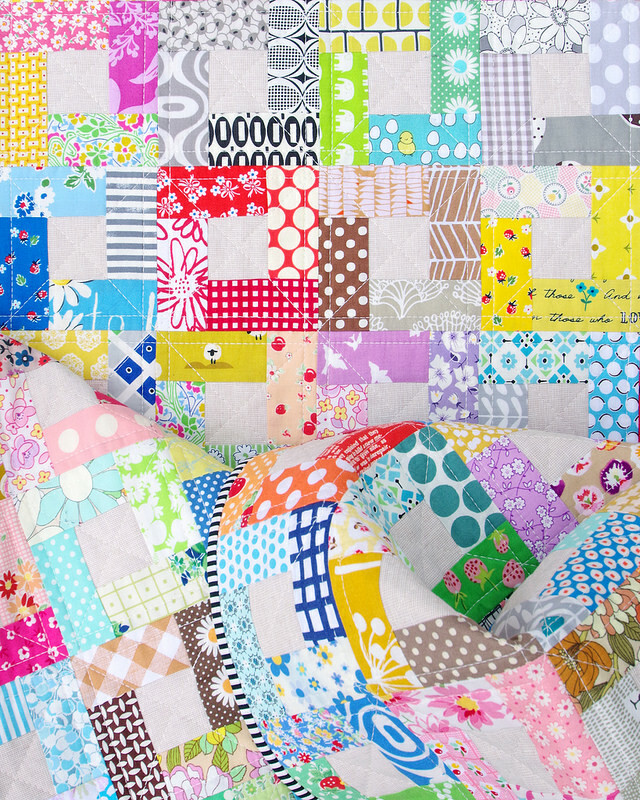 I love this quilt, it is really a happy pattern, and yes the fabrics are all loved.